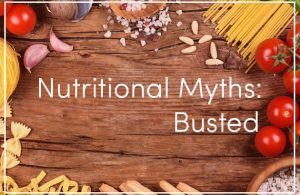 Do not be fooled by these nutrition myths. Vegetables are good for you but ironically the vegetarian diet tends to be more grain focused and typically lacks quality protein and heart healthy fats. When animal products are eliminated it is an open door for nutrient and vitamin deficiencies. Vegetarians often have a Vitamin B-12 Deficiency resulting in low energy and vitality. Vegetarians (not vegans) who consume dairy or other animal products may get minimal Vitamin B-12 in their diet, but not enough. Their diet is also lacking the much needed healthy fats and minerals from the marrow and meats of animals, these minerals specifically help with cell function and brain function. One study showed that over 90% of vegans are deficient in vitamin B12. Only animal-based proteins contain the essential amino acids and B-12 necessary to thrive. These nutrients are associated with bone health, muscle mass, healthy hormonal levels, testosterone levels to be specific, cognitive function, emotional stability, thyroid health, fatigue and autoimmune disorders. Symptoms of a B-12 deficiency are not as obvious as symptoms of low iron or vitamin D. Symptoms of B-12 deficiency include: low energy, infertility, depression, poor memory, digestive issues, leaky gut, autoimmune diseases, cardiovascular disease, cancer, and dementia. These symptoms are also common with other nutrient deficiencies. Researchers believe that if caught early the symptoms can be reversed. Another problem with a typical vegetarian or vegan diet, is the excessive amount of soy consumed as a meat substitute. Phytoestrogens in soy mimics estrogen, and high levels have been associated with the increased risk in certain types of cancer specifically prostate and breast cancers. Hormone and endocrine disruptors like soy contain chemicals, preservatives or high phytoestrogen foods, this throws hormones out of balance and potentially leads to endometriosis, infertility, cancer of the breast, prostate, and ovaries, as wells as Type 2 diabetes, Alzheimer’s, depression, and osteoporosis. Soy is not good, it is mass-produced in this country for low cost therefore marketing has made it appear to be healthy and this is simply not the case. A diet that is balanced with healthy proteins, vegetables, fruits, nuts, seeds, and healthy fats is optimal. A central part of the diet is all natural, grass-finished beef, lamb, bison, and poultry. This diet helps to decrease inflammation, alkalizes the body to make it less likely to develop some types of chronic disease including cancer. It stabilizes blood glucose levels, eliminates toxins in the body, and provides an optimum balance of nutrients. All of these health benefits will in turn result in achieving optimal body weight. Salt has a bad reputation and most people think if they don’t use table salt they follow a low sodium diet, this could not be further from the truth. Salt (sodium) naturally occurs in most foods including fruits, vegetables, cheese, dairy, seafood and grains but it is pumped into processed foods excessively to enhance the flavor and preserve the food to increase shelf life and save manufacturers money. This is common in canned, boxed or bagged foods. It’s true that people with salt-sensitive hypertension should avoid too much salt because it raises their blood pressure. In most people, however, there appears to be little to no association between salt consumption and hypertension when controlling for other factors. Instead, evidence suggests an association between high blood pressure and high body weight, as measured by BMI. Salt (sodium) is an essential mineral; its consumption is critical to our health. The problem is that the average North American consumes double the recommended intake, so quite a bit more than the tolerable upper intake. Excess sodium may not raise blood pressure, but it is associated with other health issues, such as kidney damage and an increased risk of cognitive decline. Avoid processed foods, and use a high quality sea, Himalayan or kosher salt in moderation while cooking. Healthy adults should consume less then 3000 mg per day of sodium and those who are on a low sodium diet should stay around 2000mg per diet or the recommended amount your doctor provides. Excessive intake can cause bloating and water retention, limit the intake and avoid processed foods. Whole grains should be the part of each meal. With the popularity of low fat diets the consumption of whole grains increased dramatically, at this same time the obesity rates and type 2 diabetes also increased dramatically. People have been trained to think that fat is bad and whole grains are good, this lead them to major health problems. The gluten, found in most grains, causes inflammation in the body, which leads to many chronic diseases and conditions including allergies, arthritis, cognitive decline, Gluten Intolerance, Crohn’s, Fibromyalgia, GERD, Guillan-Barre, Lupus, certain types of cancer, and so many more. The naturally occurring starches in whole grains cause surges in insulin levels because they are quickly turned into sugar during digestion. 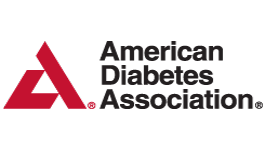 This fluctuation in insulin levels can be detrimental for individuals with diabetes, but also cause those without diabetes to experience dramatic swings in energy and concentration. In addition, fluctuating blood glucose levels are associated with obesity and even infertility as the spike of insulin in the body affects other hormonal balances leading to metabolic diseases and weight gain. Actually the phytic acid in whole grains binds to essential minerals in the intestine, and actually keeps them from properly absorbing in your system. This can result in osteoporosis as minerals affected include calcium, zinc, copper, magnesium, and iron. Calcium supplementation doesn’t typically help with those eating a diet rich in phytic acid, because the calcium is still being blocked from being absorbed. Phytic acid is found in the outer covering (or bran) of whole grains, seeds, and nuts. Sprouting the grains helps to break phytic acid down, and makes it easier to digest. This process also helps to increase the rate of absorption of key nutrients. A grain free diet is much easier on your digestive system. Modern farming uses pesticides on grains and these pesticides can break down the integrity of your gut lining resulting in poor digestion and nutrient absorption. Instead of consuming foods that are falsely labeled whole grain, consume sprouted grains (these have to be frozen or else they would mold), they are dense in fiber and rich in antioxidants. Other rich sources of fiber include beans, vegetables, nuts and seeds.